Best Rates on Insurance Center for California on Cheap Mobile Home Insurance and Cheap Manufactured Home Insurance. Save money on Insurance. Serving the Sacramento, Folsom, Chico, Redding, San Francisco, Oakland, San Jose, Long Beach, Fresno, Los Angeles, Santa Ana, Santa Barbara, Anaheim, and San Diego regions. 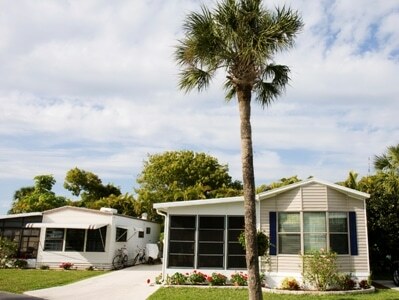 Protect one of you most valuable assets – your Mobile or Manufactured Home. Having the right insurance helps you keep your money where it belongs…in your pocket. It generally costs more to insure a mobile home or manufactured home than it does to insure conventional home because of the difference in construction materials and the Mobile home’s greater susceptibility to wind damage. Insurance Center for Sacramento and the Northern California region including Folsom, Elk Grove, Rancho Cordova, Carmichael, Antelope, North Highlands, Gold River, Fair Oaks, Woodland, Natomas, Sacramento, Anatolia, Kavala Ranch, Rocklin, Roseville, Lincoln, Loomis, Granite Bay, Galt, Davis, West Sacramento, Citrus Heights, Orangevale, El Dorado Hills, Stockton, Modesto, Lodi, Merced, Los Angeles, San Diego, San Francisco, Long Beach, Fresno, Oakland, Santa Ana, Anaheim, Tracy, Antioch, Dixon, Woodland, Fairfield, Vacaville, Vallejo, Marysville, Yuba City, Linda, Plumas Lake, Chico, Bakersfield, San Jose, Campbell, Placer County, Sacramento County, El Dorado County, Yolo County, San Joaquin County, Sutter County, Northern California, Central California, and Placer County, and other cities and counties within California.